Roof leaking is a very common problem although it should not be happening. Regardless of the weather and the time of the year, your roof should withstand all weather conditions. If, however, there is a leak, there are several reasons and you need to determine which one is in question. Perhaps your roof has been constructed a long time ago and the construction itself has deteriorated. If your house or residential building where you live is over 40 years old, this is quite normal. However, the solution is quite expensive – you probably need to replace the whole roof construction. Because of the age of the roof, the beams have probably distorted over time. Due to the wind or snow melting, tiles are probably damaged or shifted. If you have roof windows, since they suffer more rain and snow than side windows, they are much more quickly pdamaged, and robably window frames began to rot. In this case, it is necessary to replace all of the roof parts. Read this blog to understand. If you have problems with your roof since it’s made, the problem is with the contractors. Whoever built it and made the roof probably did initially a bad job. In this case, it is probably necessary to make a series of corrections. The materials used for your roof are likely to be in good condition, and you will only need to purchase those materials that have not been placed due to omissions, or some extras that will secure your roof more. Leaking happens to roofs that have not expired, and which are constructed quite well. You will need to replace several tiles and repair your roof windows. This is a very common occurrence. It is very important that you repair the roof in time because otherwise your roof construction will rot and you will have to change it completely. Also, moisture will probably get into the floor and walls, and you will have to repair them too, which is very expensive. Moisture can get to electrical installations in the wall, which poses a life threat, as well as a fire hazard. 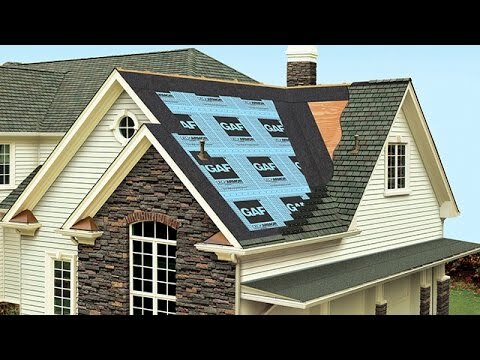 Repair your roof in time.